Pre-book your gondola tour for just the two of you! Enjoy a 30-minute relaxing journey through the tranquil canals of Venice, away from the tourists and see Venice as it should be seen. Glide through centuries of history, allowing yourself to be captivated by the glamour and elegance of the Venetian Palazzi. The perfect way to appreciate the beauty, charm and colour of this unique city built on water. 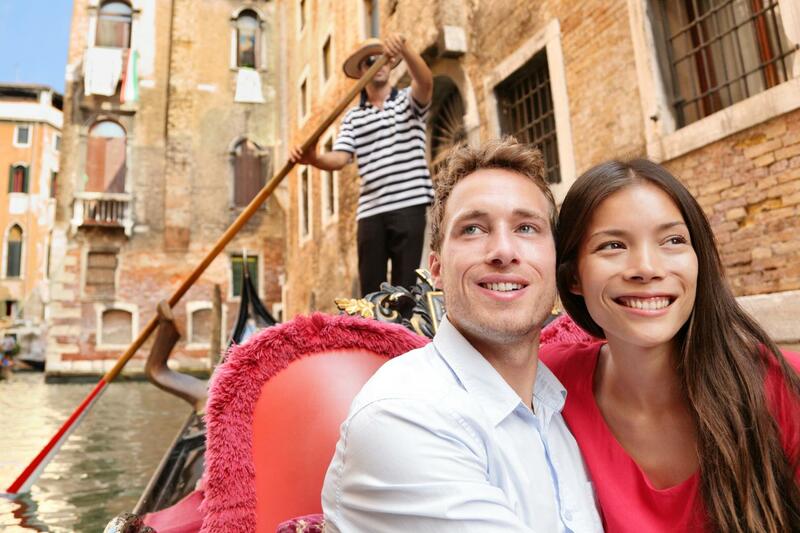 Board your private gondola and emerse yourself in this ancient Venetian tradition, experience Venice as the locals have for more than a thousand years. Once upon a time the most noble and wealthy of families would have travelled around by gondola - the slightly eccentric Peggy Guggenheim was the last person to have her own private gondola in the 1960's. On this unique exploration of the Venetian romantic canals, unwind and relax into the gentle rhythms and movements of the Grand Canal, appreciating the skill involved in steering the gondola through the intricate waterways of the city. 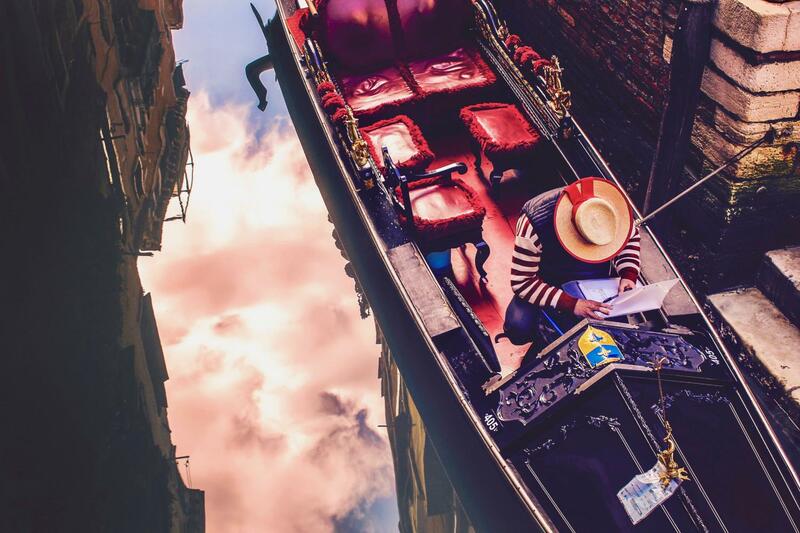 As you sit back and take in the views, you will inevitably become involved in the friendly banter of the gondoliers - as much a part of Venetian culture as the gondola itself! This charming tour will take you one step closer to the romantic facades of Venice and will enable you to understand what it was to be truly Venetian. The Best views for discovering the elegance of the Venetian Palazzi. A small bottle of Prosecco wine.